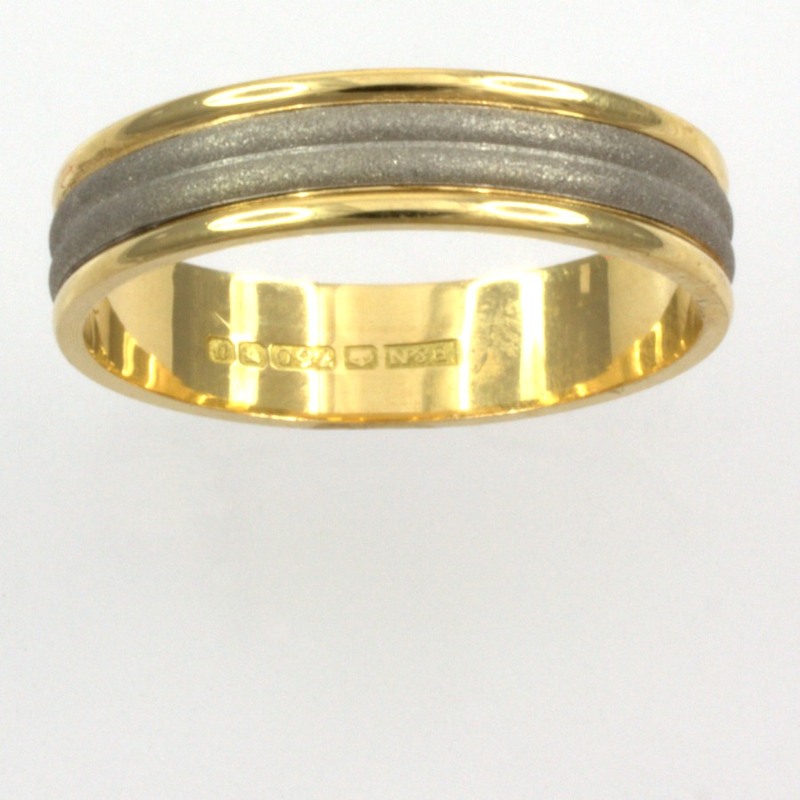 An unusual two tone band ring. 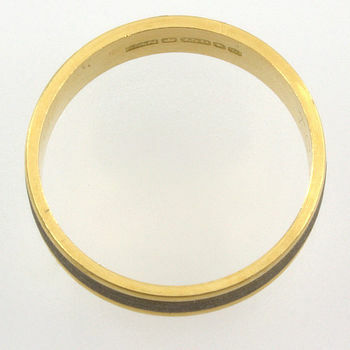 The ridged white satin centre is surrounded by 18ct yellow gold. A lovely ring perfect for everyday wear.